2010 signalled yet another dismal season for the Southern Oregon football team. Despite pulling off a few decent results, the Raiders struggled to find consistency despite showing flashes of brilliance against some strong opponents. Those flashes of brilliance came with a season opening win over the No. 21 ranked Eastern Oregon. Quarterback Mike McDonald clicked with Vance Beach while Brandon Baldwin came up with big runs for the Raiders when needed. A good start became great when the Raiders went 2-0 thanks to a solid win over Simon Fraser courtesy of an impressive individual display from Baldwin. Baldwin finished the day with 35 rushes for a total of 181 yards. McDonald also had a big day, passing for two scores and 167 yards while going 14 of 30. The Raiders impressive start also saw them enter the NAIA ranking for the first time since 2004. 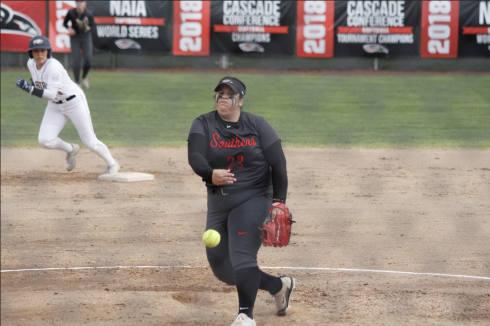 However, a perfect start quickly turned sour with the Raiders losing six games straight and wiping away the bright start Southern Oregon had opened with. 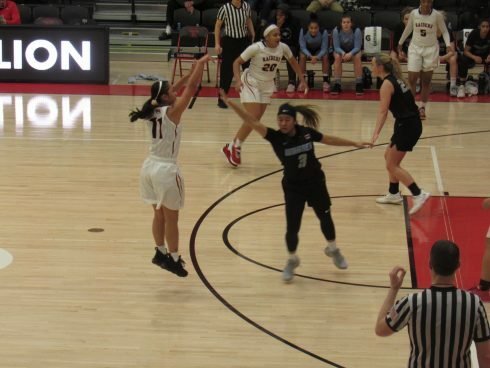 The Raiders returned to winning ways with a win over Menlo but it was to be their final win of the season. Southern Oregon closed out the season with a lose to Northwest Oklahoma to end the season at 3-7. Change was something that was without a doubt inevitable and for the Raiders, it could only be for the better. So after ending the season with a 3-7 record, Southern Oregon decided to part ways with head coach Steve Helminiak who spent five years at the helm of the team and managed to record a 15-32 overall record. On top of that, the Raiders also threw their hat in the ring for a spot to compete in the Montana-based Frontier Conference. With the possibility of playing in an organized league, the Raiders hired Craig Howard as the new head coach to lead the team. Howard, who hails from Grants Pass, was selected from a pool of over 100 applicants and has an impressive resume with high school teams, including the coaching of Heisman Trophy winner Tim Tebow. In the few short months Howard has been in charge of the Raiders, he has signaled his intent to turn around the fortunes of a team who had struggled to win in the past. So far Howard has bolstered his staff by bringing on Chris Fisk and Ken Fasnacht while retaining Berk Brown and Greg Stewart and also naming Matt Toblin as the defensive coordinator. During the Raiders annual Spring Football game on May 6, Southern Oregon signaled its intentions for the 2011 season with much improved defensive and offensive performances. The Raiders passing and running game was sharp while rotation gave every player the chance to show what they can contribute to the squad. With 35 new faces set to suit up for Southern Oregon this fall, the future looks bright for a program that was desperate for a new direction and now has the opportunity to get into a winning rhythm.